Our team provided core engineering and project management services that took a residential development from start to finish. In this particular case, our depth of expertise in land development and regulatory policies allowed us to anticipate where potential issues could have made a significant impact, or where approvals could have been challenged. From inspections, to composite utility plans, administration with agencies to final approvals, the project was fully managed and supported to ensure construction would commence without delay. • Counterpoint took on the challenge of in depth coordination with two school boards on this project. With the first board we facilitated plans for construction of a new school and with the second school board we facilitated the re-configuration of the school’s entrance. The new entrance required a land transfer agreement to complete the necessary municipal ROW and to accommodate the revised entrance location. • The SWM facility required for the development was designed by others and constructed on adjacent lands. To overcome the risk of relying on the schedule of another owner and design team, our team handled constant coordination with the adjacent land owner over the design, approval and construction schedule of the SWM facility. 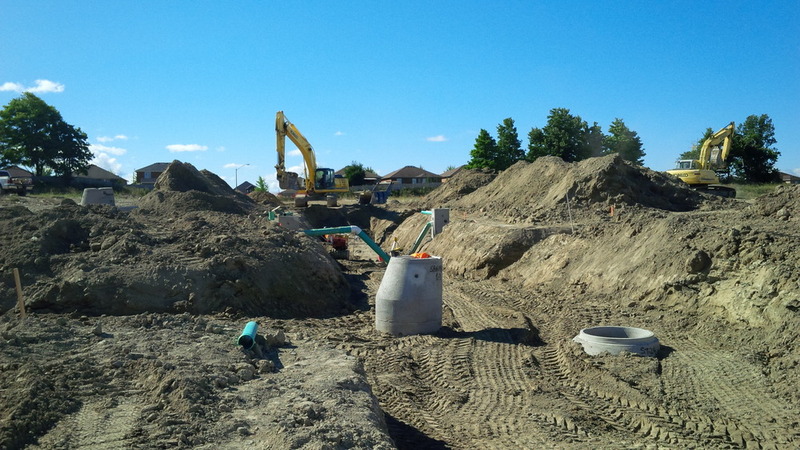 • In addition to the coordination of all utilities and the preparation of a composite utility plan, we provided profiles, grading, traffic signage plans, drainage area, and erosion and sediment control. 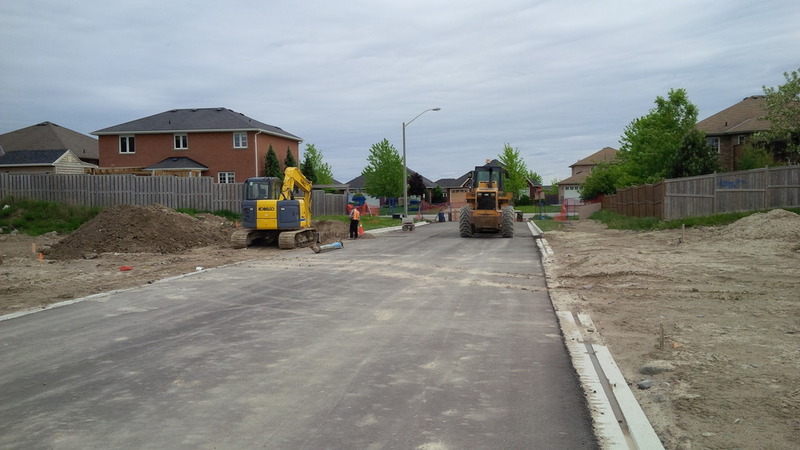 • Counterpoint provided Project Management of the approval processes for the Conservation Authority, the Ministry of Environment and Climate Change, the Muskoka Simcoe Catholic School Board, the Municipality, and the reviewing engineer. the site is fully constructed and the main road is open to provide access to the newly constructed high school.